You’re invited to The Meadows Grand Opening Celebration! 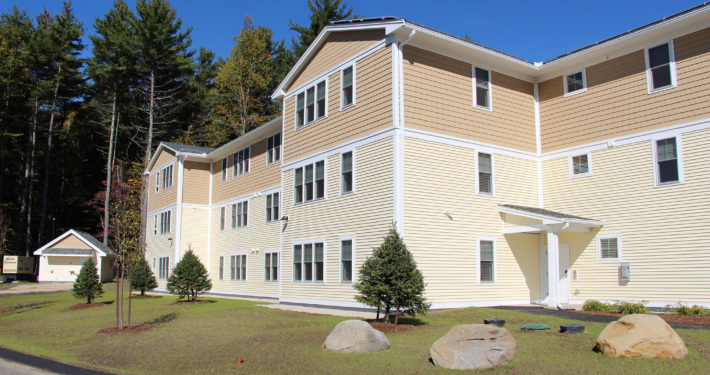 Friday, May 18th at 3:00 p.m.
Come celebrate with residents, neighbors, partners, funders, and friends as we commemorate the grand opening of The Meadows – new affordable homes for seniors in Hampton Falls. No RSVP necessary. Light refreshments will be served. Join us to celebrate new and beautiful affordable housing for seniors in Hampton Falls! It’s NeighborWorks Week at Avesta Housing! Avesta Housing is part of the national NeighborWorks network, an affiliation of more than 240 nonprofit organizations located in every state, the District of Columbia and Puerto Rico. Over the past 40 years, NeighborWorks and its network have assisted close to 8 million people through affordable housing and counseling. In 2017, the NeighborWorks network provided housing and counseling services to 455,100 people, repaired 71,300 homes, and created and maintained 43,600 jobs. The NeighborWorks network was founded and is supported by NeighborWorks America, which creates opportunities for people to live in affordable homes, improve their lives and strengthen their communities.